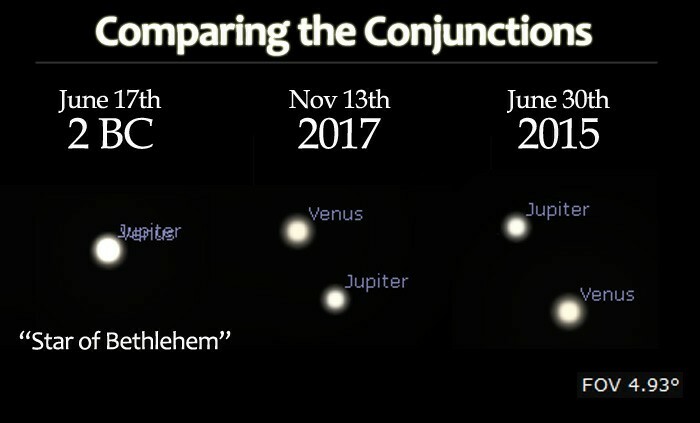 On November 12th, 2017 you will see Venus and Jupiter in an alignment that some “Christians” are calling “The Star Of Bethlehem”. 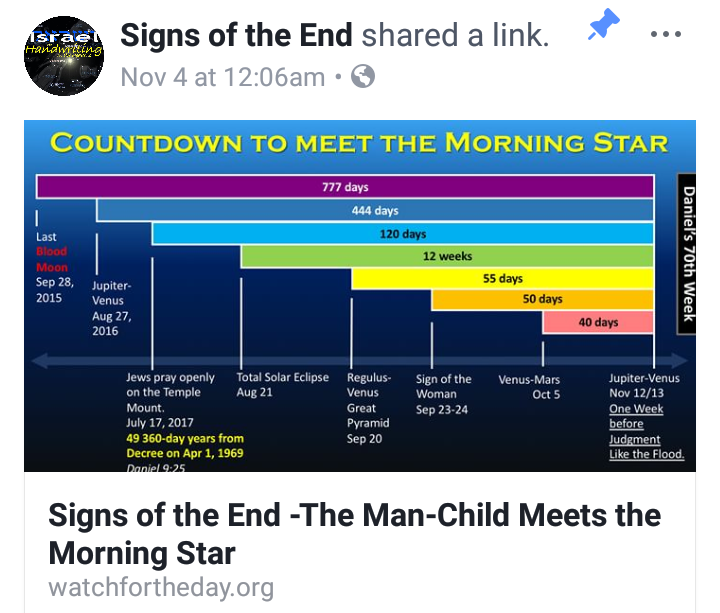 This is more of the same from the 9/23 cult that is playing right off of their false sign. 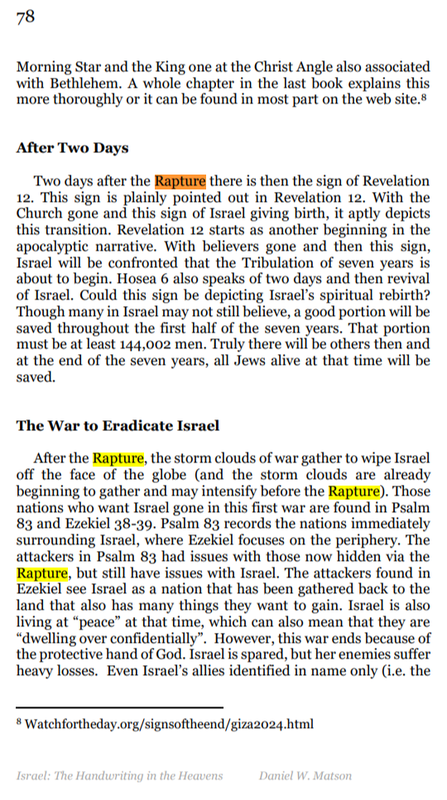 They so bad want the “rapture” that they are literally being diviners and are trying to predict this false rapture. Fyi, it’s not gong to happen. 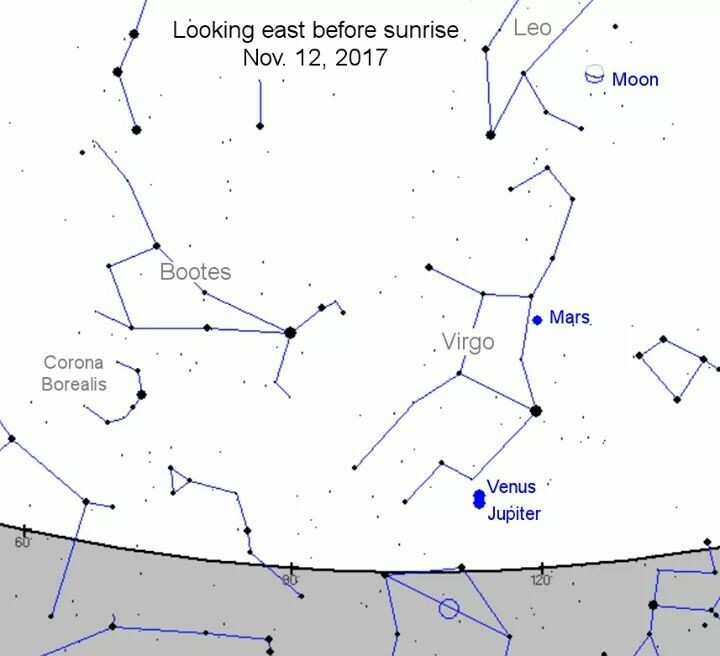 I see these as false signs and wonders that the enemy is using to decieve these Christians into believing in the false doctrine of the “rapture”. 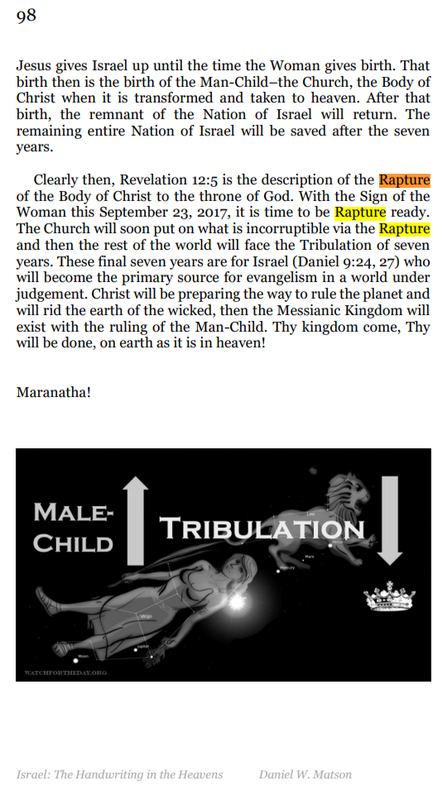 Any belief in this “rapture” prior to the literal return of Jesus is false. It happens on the last day. Period. 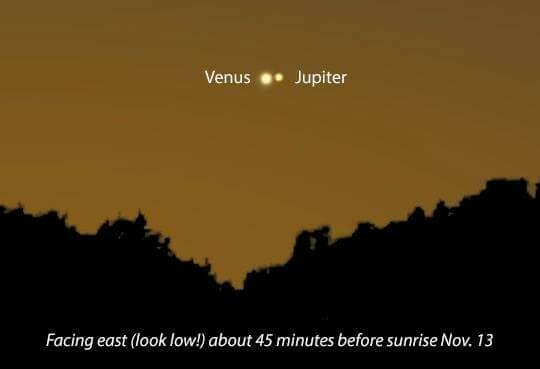 They call this the ” man child (Jupiter) meeting the morning star (Venus)”. 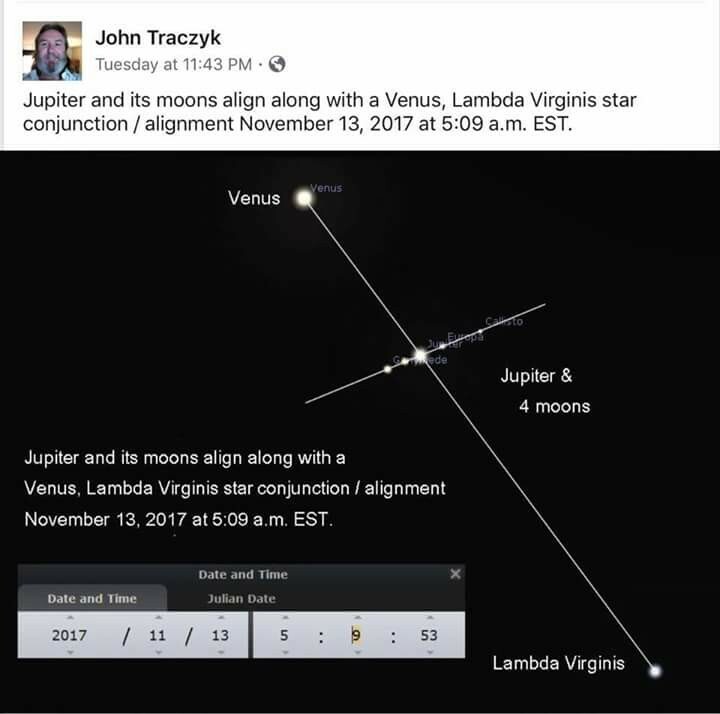 There are many problems with this on so many levels and as of right now, Jesus is not Venus and not ever was the body of Christ Jupiter. To them, the body is connecting to the head. Completely false and ridiculous. 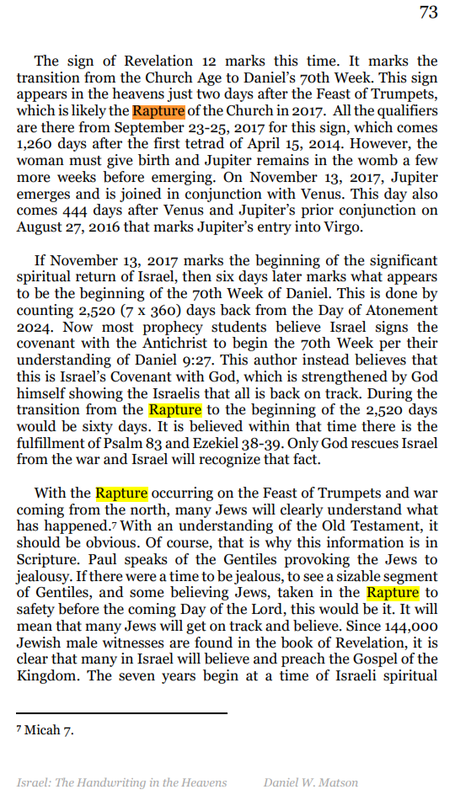 Guys like Revelation 12 Daily And Daniel Matson from Signs of the End won’t actually come out as say that this is alluding to the “rapture”. I think they learned something from nothing happening on 9/23. 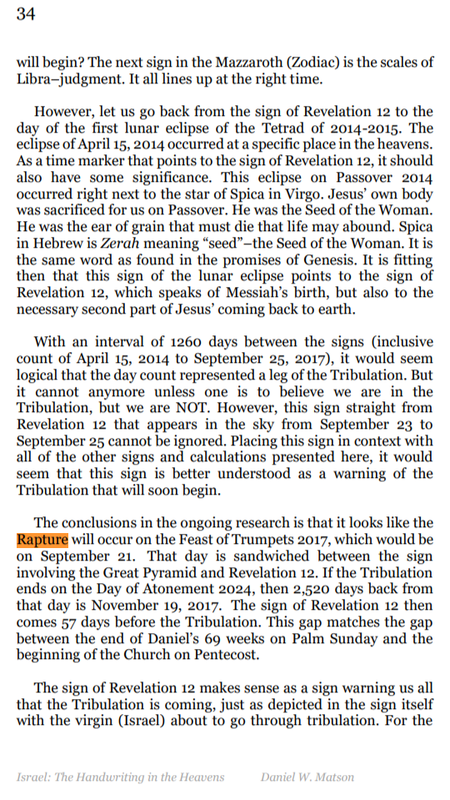 What they do say though is that this is the “beginning of the tribulation”. 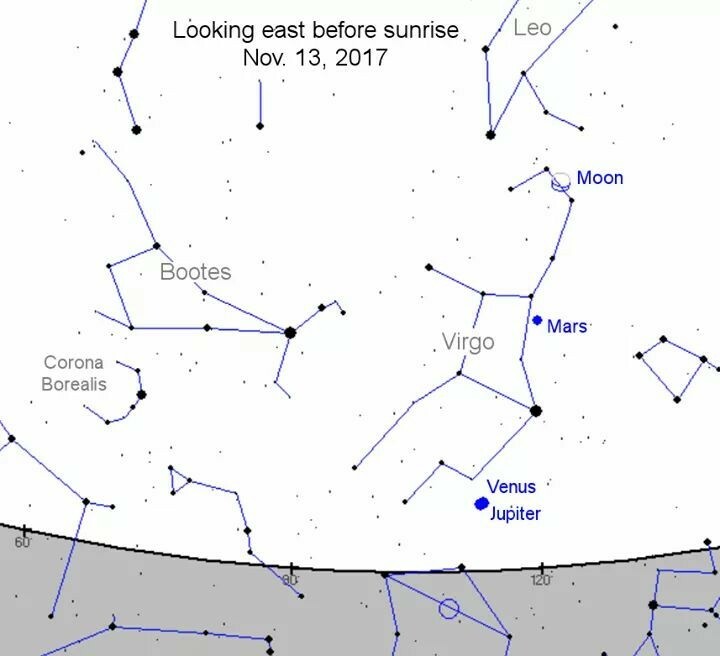 If you can read between the lines then you will know that they are pre-trib rapturistas and saying its the beginning means that this is a date for their rapture to happen. I know the games they are urging to play. 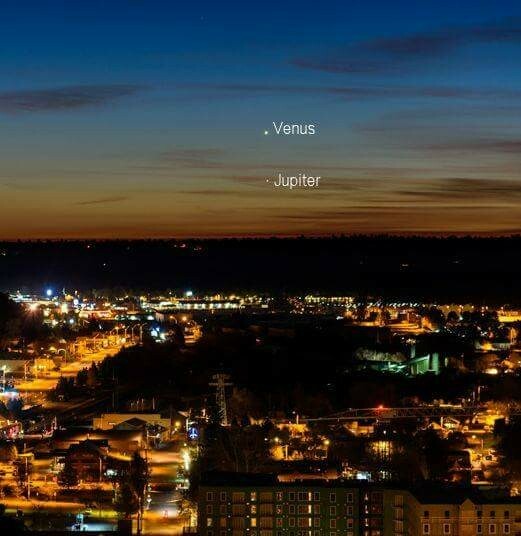 To me its all about deception and false signs and wonders, even in the Heavens. This is not the Star of Bethlehem. That happened over 2k years ago. If anything, the cross that they are seeing is the cross of Tammuz. I see the Mother Child cult coming together with this sign. Semiramis and Tammuz. Isis and Horus. Not Jesus and Mary or for that matter, not the head of Jesus and His body…the Church. Once again, competely false. 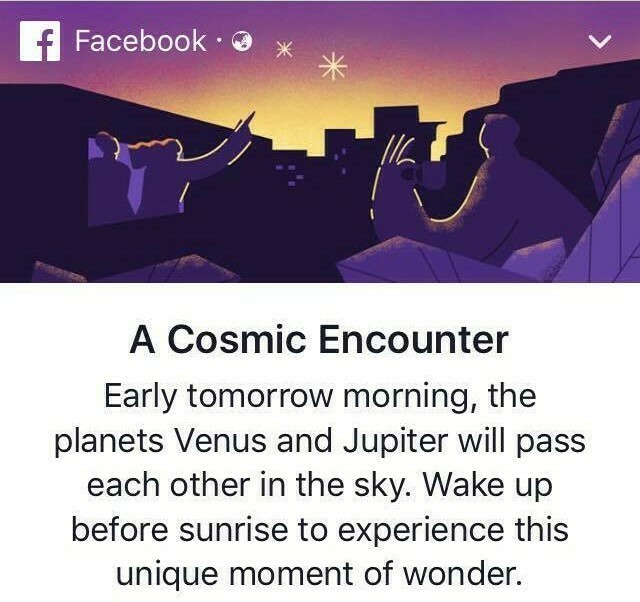 Even Facebook is getting into this deceptive game. And is the guy on the right holding up the 666 👌 sign?  By the way, That’s nothing but a black dot on a black background that I did on Facebook. It means just about as much as their belief in this conjunction bringing about the “rapture”. 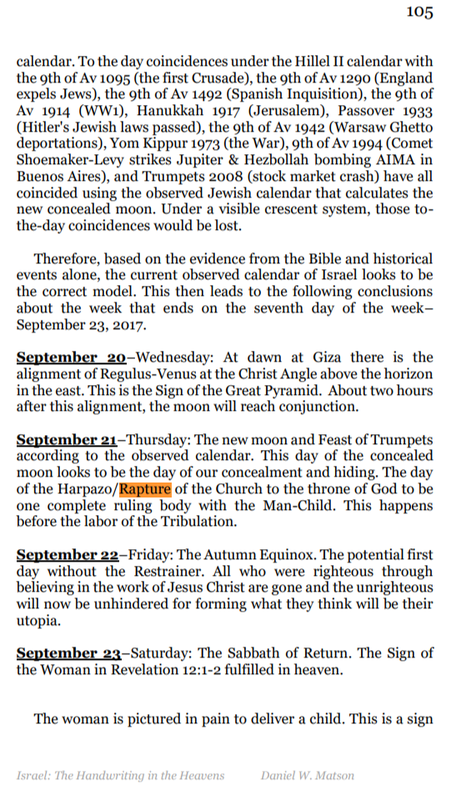 And Daniel Matson actually wrote a BOOK about the “rapture” being on September 21st/23rd. Here are screenshots from it. This guy can’t be trusted with any sort of Bible prophecy and personally, he’s really not a nice guy if you disagree with him. All I know is that Jesus was right, too many false prophets. I respect your work for being so objective. God bless. Thanks. I’ve done a word study on the strong delusion. It was pretty intetesting. I’ll find it and post it here. I’ve done the falling away or apostasy but I’ll have to find it. Here is something that is connected to the apostasy. I will try to do something in the future focusing just on the apostasy. And here are a few thoughts on the v strong delusion. 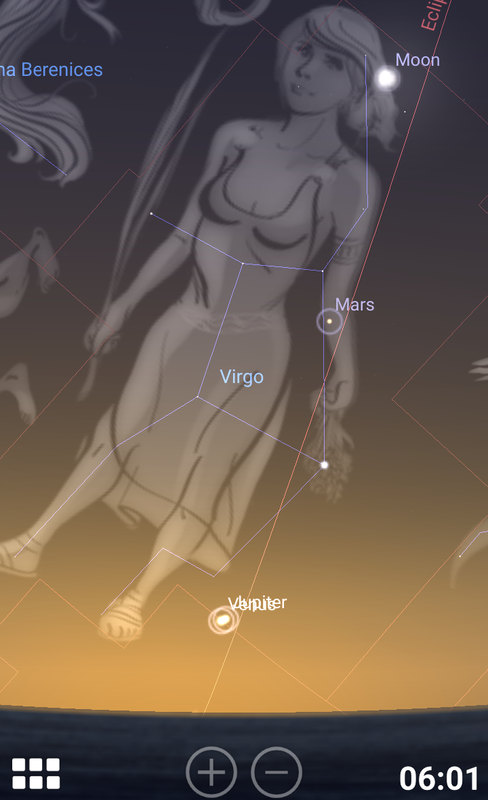 I wrote this awhile back and after everything that has happened with the wandering stars of September 23rd, I think these may be connected to all of this now. Thanks read both article. The verse in Hosea 4:6 King James Version (KJV) 6 My people are destroyed for lack of knowledge: because thou hast rejected knowledge, I will also reject thee, that thou shalt be no priest to me: seeing thou hast forgotten the law of thy God, I will also forget thy children. The verse rings true today for the Church and believers going into divination such as we saw with the September 23 nonsense. I always read that verse with an emphasis on MY, because the traps of the deceiver are also for believers to fall victim. Clearly not biblical when the falling away is read as the church floating off into heaven, which is what many churches do teach.